Cayan® is a technology company focused on transformative innovations in payments. Cayan is continuously developing new ways to take the pain out of payments and help businesses create great customer experiences. From buy online and pick up in store to auto-reorder and in-aisle purchases, Cayan makes it possible for businesses to deliver the outstanding unified commerce experiences customers demand. Businesses get new insights into the customer journey, shopping behavior and satisfaction– so they can turn one-time buyers into repeat customers. 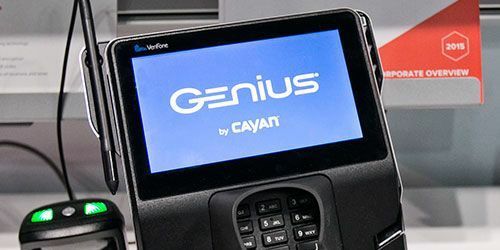 Cayan’s fully integrated, multi-channel customer engagement platforms include their Cayan® Unified Commerce Solution Suite™ and Genius® Platform. Both are secure and scalable platforms that are fully configurable, tailored to a businesses’ unique needs and easy to implement. Headquartered in Boston, the company has multiple offices in the United States and Belfast, Northern Ireland. Cayan is one of the world’s fastest growing payment companies. For more information, visit https://cayan.com.